As we all know from the internet, doggos are the goodest bois and girls on the planet. But doge memes aside, life doesn’t always work out for our canine companions, and many face hardships in their lives. 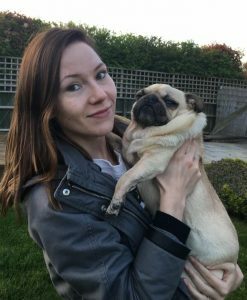 We met Pug Dog Welfare & Rescue Association trustee and re-homer Jemma Middleton, who explains how dog rescuing works in a revealing, heart-breaking, but ultimately uplifting interview. The PDWRA is a registered charity that operates nationwide. As the main pug rescue in the country, it re-homes and rescues pugs across the UK, and has been operating since 1973. We actually celebrate our 45th anniversary this year, which we’re all very proud of. I’m a re-homer for the South, and manage the largest region of eight rehoming areas alongside my colleague Richard, as well as being a trustee on the board that oversees the governance of the charity. How did you end up doing this sort of work? I’ve always been very supportive and appreciative of all people out there who work tirelessly to help rescue and re-home animals, and fly the flag for animal welfare. As an animal lover, I knew that I wanted to give back and become involved in some way, and I absolutely adore the pug breed! While not without their share of health issues, they’re such loyal companions and hilarious company! My job – if you can call it that, as we’re all unpaid volunteers – is to effectively run all aspects of rescue and rehoming across the South of the UK. From surrender calls and adoption applications, to foster homes and volunteers, and of course the pugs, there’s a lot that goes into the job, and that’s only really the re-homing side of things! Can you talk us through the re-homing process? My role as re-homer is to ensure that every pug who finds their way into the PDWRA is placed safely into a foster home or an adoptive home. Every case is dealt with sensitively and confidentially, without judgement, and every applicant hoping to adopt goes through a process of vetting and home checking, to make sure that they’re suitable. Under what circumstances do the pugs end up arriving at the charity? Most of the pugs that arrive at the charity do so because they’ve been relinquished by their former owners, through no fault of their own. We’ll also endeavour to re-home unclaimed pugs from stray kennels where possible, in addition to pugs that may have been abandoned, and will always offer to help with any other pugs that find themselves in kennels or rescues around the country. We’re always available and willing to help any pug that needs our help. Every pug has their own story and unique case, but some common themes that we see include the heart-breaking surrender of a pug from a much-loved home, where the owner has had to make the decision to surrender in the best interests of the pug. These are never easy to deal with, but we’re humbled that people trust us to do the right thing for their beloved family member, and we help by placing the pug into a home where we know they’ll be just as loved as they were before. There are also the sad cases where the pug has come from a home where it may not have had much love or kindness. Often, we learn the true facts once the pug is in our care, which unfortunately is an unavoidable aspect of rescue. Then, we have the cases where it becomes clear that the pug was surrendered because the former owners couldn’t afford to pay for their vet treatment. These pugs will spend time in foster care, being treated until they’re fit and well, and ready to be adopted. Are you able to discuss your most heartbreaking and heart-warming experiences? My most heartbreaking moment has to be saying goodbye to my long-term foster and PDWRA rescue, Peggy; anyone who’s been through this with their pet knows the pain. It was extra tough with Peggy because she overcame so many obstacles in her life. She was a stray, filthy and full of fleas, having been dumped in a park after fulfilling her miserable life of litter after litter. She had a limb deformity and a progressive condition, but she also had such spirit and enjoyed her life after rescue to the fullest. She was amazing. My most heart-warming moment was actually not too long ago! A young pug was collected in early December last year by a lovely foster carer of ours. He’s totally blind and has lived a very sheltered life, and his foster carer sends me video updates of him doing everything for the first time, from his first steps into the garden and his first cuddle, to his first time out on a walk and first time accomplishing the stairs. What a brave boy he is – it brings tears to my eyes just thinking about him! Is there a process for easing the pugs into their new homes? We carefully match each pug to the home that we feel suits them and their needs best. We ensure that all of the pugs are neutered, micro-chipped and vaccinated, and that any health issues are addressed. Once the pug is settled into their new home and the new owners are happy, we know our job’s done – for that pug at least, and then it’s on to the next one! My role as a trustee of the charity is to ensure that it’s being governed correctly, and to help manage it from more of a top-down perspective. It’s a lot more formal, but we have some exciting plans this year to rebrand the charity, as well as some new members joining the board, who will have so much to bring to the team. Do you rely heavily on volunteers? It’s certainly not possible without the help of all of the PDWRA’s volunteers, who we call upon when needed, to foster, home check and transport pugs around the country. We’re supported totally by volunteers, and everyone gives their time freely and generously. This means that every penny that we fundraise goes directly towards our pugs, and mostly their vet bills, which is our biggest expense! Rescue really is seven days a week, all year round. I don’t think there are many people who are able and willing to dedicate so many hours for free, but the PDWRA team somehow find a way to keep going. In what ways has the PDWRA developed in recent years? Over the past couple of years, we’ve seen our vet bills soar to over £100,000 a year, and we rescue and re-home over 200 pugs annually. So far, 2018 has been very busy indeed, with 45 pugs on our register already as of February, so we don’t anticipate this year being any less busy than the past couple have been! 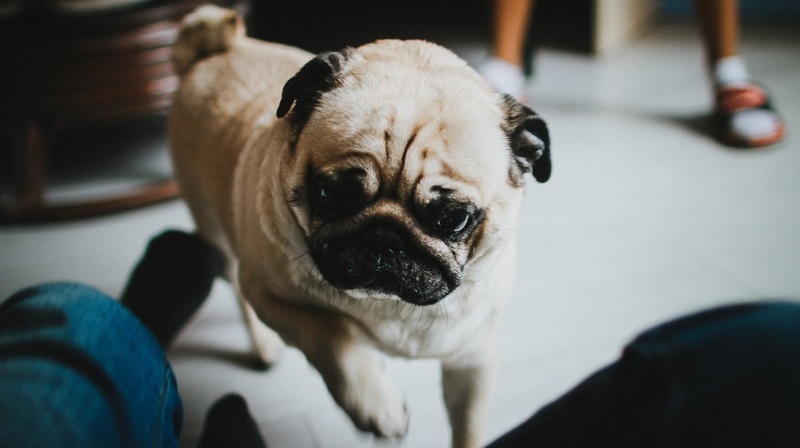 It’s been a busy few years, with the popularity of the pug breed soaring, and the inevitable consequences that has on the number of pugs needing to be rescued and re-homed. Very much so, and no two days are ever the same either. At our busiest, we had 14 pugs on our list for the South region alone. At times like that, it’s not uncommon for me to be in my office all day and night. Post-Christmas and the summer holidays seem to be the busiest times of the year, but overall it’s rarely quiet at the PDWRA! Rescue cases can often be urgent, and you just never know when your phone will ring next, or what it might be. Sometimes you have to drop everything to focus on a case, and some cases can be complicated and ongoing, particularly if a dog has health issues that need ongoing or specialist care, or behavioural problems that can make placing them challenging. If we have a lot of pugs in foster care (as we do at the moment! ), we can often spend a lot of time contacting foster carers to keep updated on their progress, contacting vets about their treatment, and searching for and checking potential homes. Then, there’s of course all of the admin that needs to be done! And how are they processed? Every dog is given a unique ‘welfare number’, and has their own file. We keep records of all of the information that’s available, such as vet records, microchips and inoculations. Our secretary works tirelessly to keep up with all of the pugs under the PDWRA umbrella! We keep paperwork records for every pug – a trail of their surrender, stay in foster, and/or eventual adoption. It must be heartbreaking sometimes – how do you cope? There are certainly standout moments that are very tough to deal with – cases that have been very shocking or upsetting, but which are fortunately few and far between. We’re only human, after all, and dealing with difficult, sad and unfair situations on a daily basis can wear you down. I think it’s fair to say that I definitely do cope with the good company and humour of Richard, who I work alongside. It’s certainly a team effort and we share the load, literally and mentally. I have a very supportive husband who, whether he likes it or not, listens to me talk about pugs every day and have a moan when I need to! My biggest motivation is seeing all of the pugs enjoying their forever homes, and how happy they make their families. That makes it all worthwhile. Finally, how can people help, and what are some of your tips on getting a pug? There are so many ways you can help! First, you can donate – every donation, however big or small, helps immensely, and goes straight to the pugs in our care. You can also sign up as a ‘Friend of Welfare’ on our website with an annual donation. You can volunteer too, whether that’s through fostering (there’s a foster application on our website), doing home checks, or transporting pugs. Or, if you’ve even more time to give and want to become more involved, there are always opportunities! Just email secretary@pugwelfare-rescue.org.uk or click on the banner below. Then, there’s adoption, where you submit an adoption application on our website to be considered as a forever home for a rescue pug. It’s easy and tempting to want to buy a cute puppy from a breeder, but there are so many amazing dogs in rescue that have so much love to give! If pugs aren’t your passion, there are loads of different breed rescues and other rescues throughout the UK that are crying out for support too. Volunteering is a wonderful thing to do, and there are opportunities out there, and help needed, for whatever your passion is.